The populace of Jefferson County was conflicted in their loyalties when the Civil War broke out. 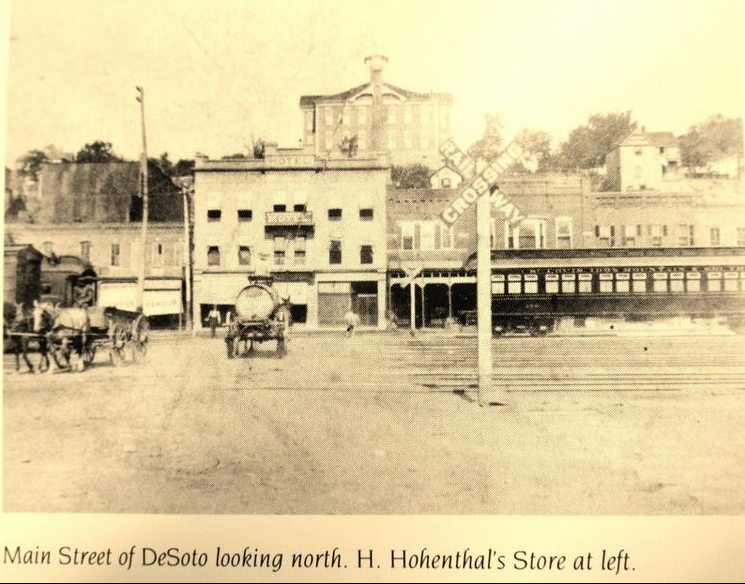 The people in Hillsboro, Missouri felt strong pangs of sympathy for the South, for state’s rights and sovereignty, but did not believe secession was the means to achieve their goal. These feelings were mirrored by residents of nearby DeSoto. To openly discuss their concerns, meetings were called for the men of each town to take place May 16, 1861. It was believed these meetings would be comprised mostly of those who had a deeper sympathy than most for the southern cause and a flag symbolizing state’s rights would be raised outside of the meeting places. Men from nearby St. Francois county planned to attend the gathering in DeSoto. The story goes that these St. Francois men encountered a train car full of Union soldiers at the local depot fresh from St. Louis. The men turned back to avoid conflict. The soldiers cut down the flag pole outside the meeting house in Desoto and began a search for the flag. Eventually it was located under the bum of woman who had concealed it, by sitting upon most of the day. The soldiers sent to disperse the meeting in Hillsboro, had their own complications with the flag. Closer inspection revealed it not to be a flag of secession at all, and the soldiers took steps to see that the flag was raised and protected. The flag became an iconic piece to the local population and after a lengthy time of it flying proudly over the town, the flag was taken down and given in pieces to ladies in the town who sewed it into quilts.